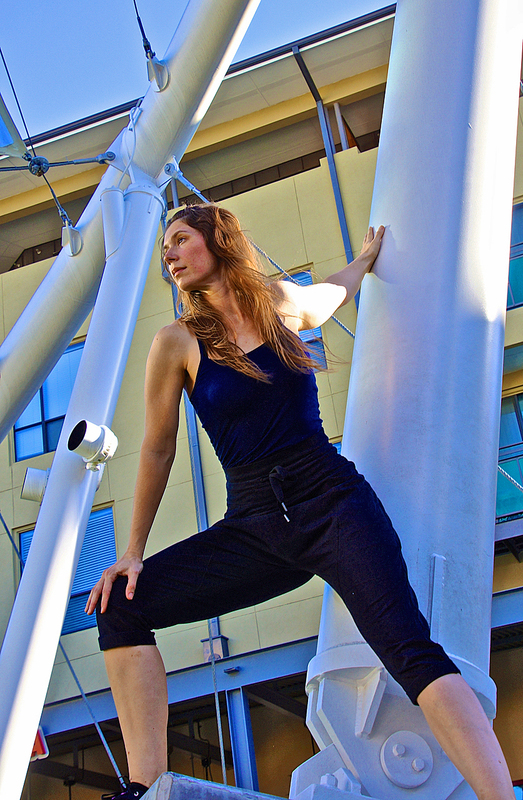 Olivia O’Hare is a movement educator who combines her extensive knowledge of improvisational dance, physical theatre, fitness, and somatics to create an unparalleled experience in each class she teaches. She currently acts as the project coordinator for Body Shift, a mixed-ability dance project based in Austin, TX. The goal of Body Shift is to offer classes and workshops that provide a welcoming environment which empowers people of all abilities to embrace dancing in their own unique way. Olivia completed coursework toward the PhD in Performance as Public Practice at the University of Texas at Austin where she focused on movement theory and analysis of DanceAbility. She also holds a BFA and MA in Theatre Directing from Texas State University and has performed and worked with numerous Austin-based groups such as the Improvisational Movement Project and Actual Lives Austin. In addition to teaching acting, dance improvisation and pilates at the university level, she has worked as a fitness instructor doing athletic and post-rehab training for the past twenty years. Her teaching is informed by a variety of movement modalities including Viewpoints, Body-Mind Centering, Alexander Technique, Franklin Method, DanceAbility, Contact Improvisation, Pilates, Yoga, Gyrokinesis, Primal Movement and Functional Fitness. She believes that body awareness and an understanding of non-verbal communication are an essential part of the human experience and should be made accessible to all people.